You will Watch Kaijudo: Clash of the Duel Masters Season 2 Episode 23 online for free episodes with HQ / high quality. 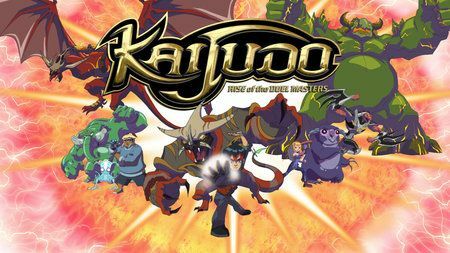 Stream cartoons Kaijudo: Rise of the Duel Masters Episode 49 Bargain. The Choten agrees to hand over a certain antidote to Ray if he is willing to give him a magical spell from the Water Mystic called the Spell of Liquid Compulsion. Ray agrees to the deal in the hopes that the antidote will undo Ken Okamoto’s evolutionary mutation before it consumes him. Even when Ray finds the Water Mystic, he ends up getting a cryptic test revolving around the spell. 4.8 / 5 - 13 ratings.